Lock in a great price for Epavlis Meteora Suites Hotel – rated 9.4 by recent guests! Splendid view. Rooms were clean. Breakfast was very good and everything was homemade. Spiros was a very good host and gave us a lot of tips for sightseeing. Super comfy, spacious room, with lovely view from the balcony and breakfast room, Meri and the lovely girl in reception went out of their way to help me, pick up and drop off at the station, car hire, the whole thing. Lovely. 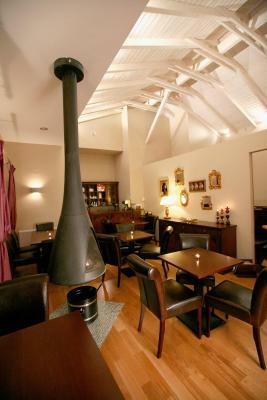 Owners, Mary and Spiros are truly welcoming, their warmth toward theirs guests and willingness to be useful are genuine. 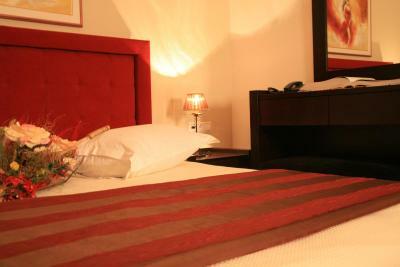 We felt at home as opposed to being in a hotel, what is rare when one is travelling and make the experience priceless. The supper in the garden is a must. 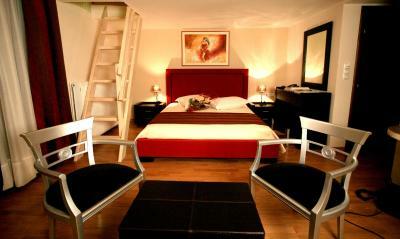 Everything was great, room size, furniture, rich and tasty breakfast. We had dinner the first night in the garden, and it was so pleasant that we had dinner again on the second night. We asked for fish which was frilled on their outdoor grill and was delicious, as all the rest of the food. 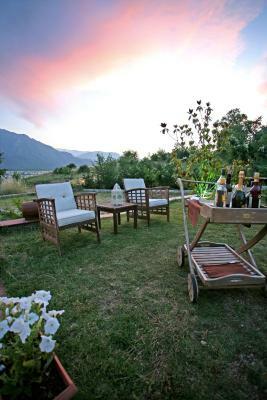 The salads and vegetables were all freshly picked from the garden and also the grapes which were picked right away for dessert. Our hosts, Mary, Spiros and young daughters, and assistant Rania, were extremely polite and friendly, and gave us excellent instructions what to see during the day, at sunset and in our way to Thessaloniki. 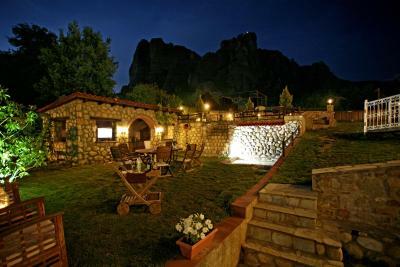 If you are planning to visit Meteora, which is a peak experience, don't hesitate, Expavlis Suites hotel is incredible ! 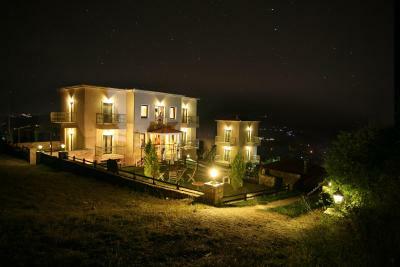 We really enjoyed staying in this place. Rania welcomed us and gave us excellent information & restaurants recommendations. Our room was very clean & comfortable. Nice balcony with super views. Breakfast was great! The owners are very friendly. 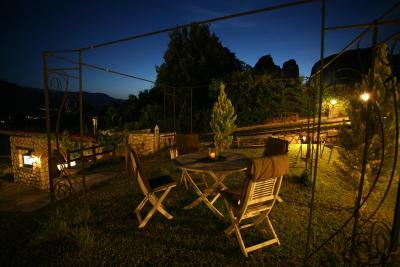 One night we were invited to have something to drink in the beautiful garden. I highly recommend this place. Everything was great! 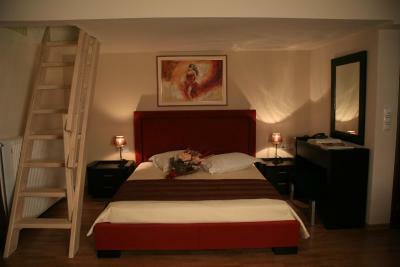 Clean comfortable room, wonderful staff, great location and great breakfast! Great service from the family running the hotel. 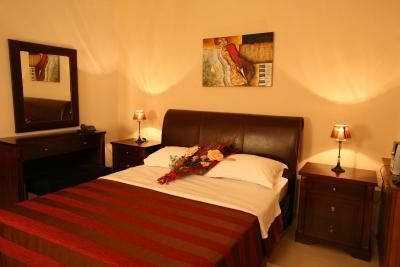 The meals, location, and rooms are top of the line. We loved it here. 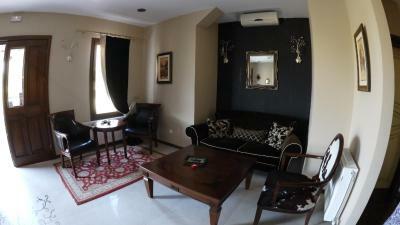 Everything else was perfect - very large room, great view, nice stuff, good breakfast. 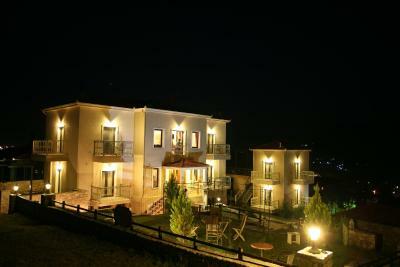 Epavlis Meteora Suites Hotel This rating is a reflection of how the property compares to the industry standard when it comes to price, facilities and services available. It's based on a self-evaluation by the property. Use this rating to help choose your stay! 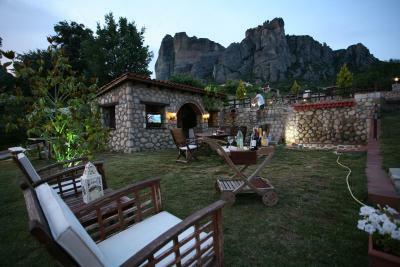 One of our top picks in Kalabaka.Located at the foot of Meteora, Epavlis offers luxury accommodations with free Wi-Fi and stunning views of the Meteora Rocks and the town of Kalabaka. 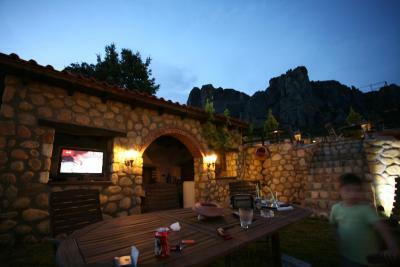 It is set amid a 1,100-m²garden with BBQ, coffee bar and parking. 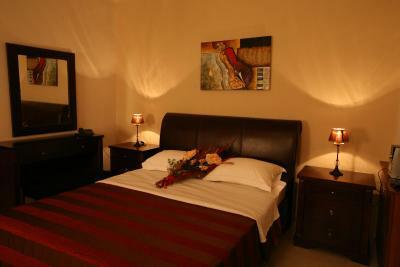 Hotel Epavlis’ rooms and suites include 2 balconies, LCD TV and bathroom with hairdryer. 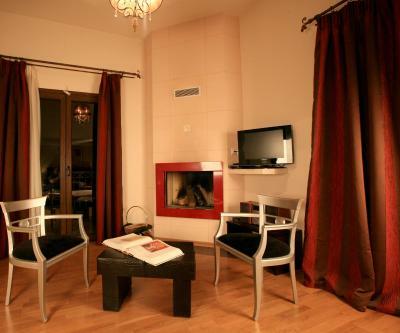 Some also offer a fireplace and satellite TV with DVD player. A 24-hour room service is available for your convenience. 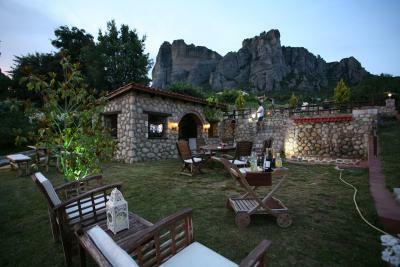 Guests at Epavlis Suites Hotel can relax in the on-site café in front of the fireplace or on the furnished garden with a backdrop of the magnificent Meteora Rocks. 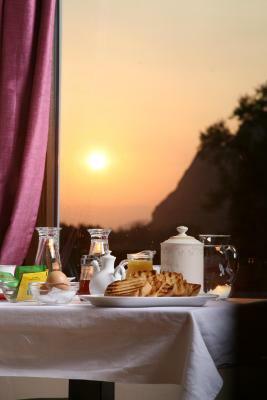 Rich traditional breakfast in buffet style is served each morning in the breakfast room. 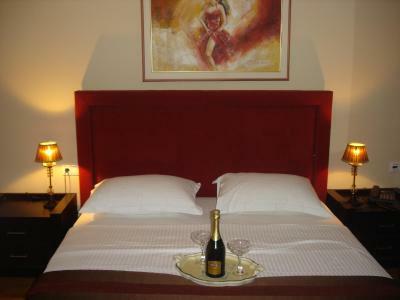 The area of hotel is an excellent point for walking. 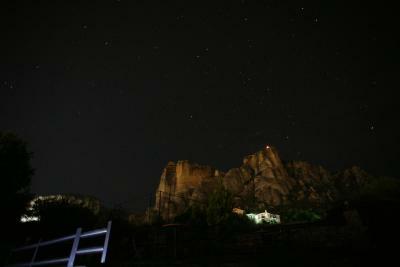 The neighboring traditional villages offer great opportunities for sightseeing. The town center with its cafés and restaurants is at 1,950 feet. 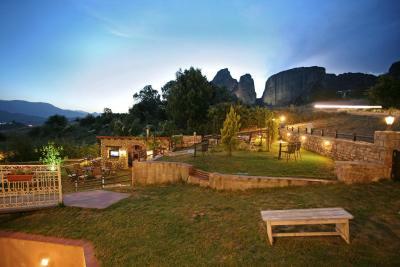 Meteora Rocks, with their famous monasteries, is 1.2 mi away. This is our guests' favorite part of Kalabaka, according to independent reviews. 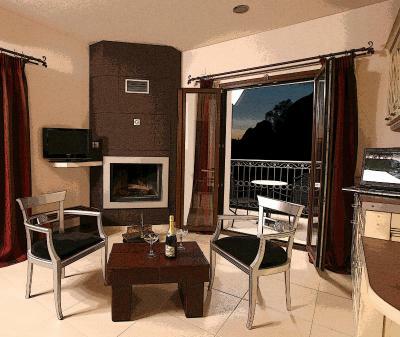 When would you like to stay at Epavlis Meteora Suites Hotel? 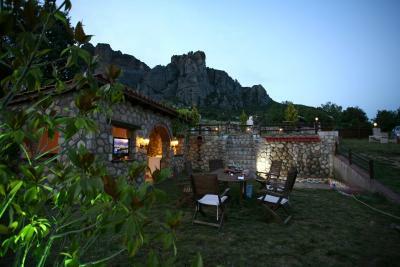 This superior room enjoys panoramic views over Meteora Rocks. Please note that guests cannot cook in the rooms. 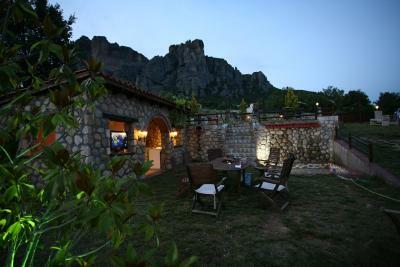 Enjoying panoramic views over Meteora, these more spacious rooms offer comfortable beds, and satellite TV. Please note that the room rate is based on 4 guests. Maximum occupancy is 5 guests (see Hotel Policies). 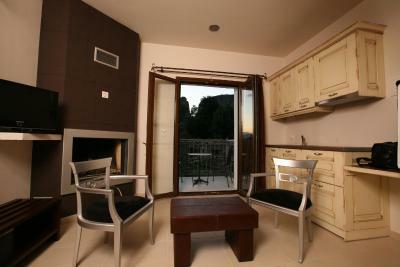 Very spacious room with balcony, private entrance and kitchenette. 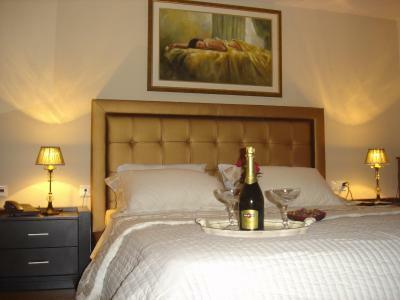 This triple room features a soundproofing, private entrance and stovetop. 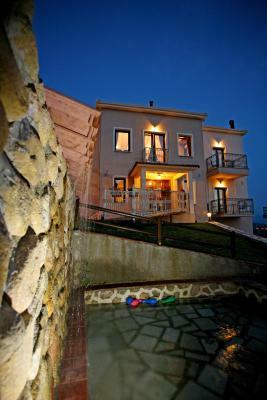 House Rules Epavlis Meteora Suites Hotel takes special requests – add in the next step! Free! One additional child from 2 to 5 years stays free of charge in an extra bed. 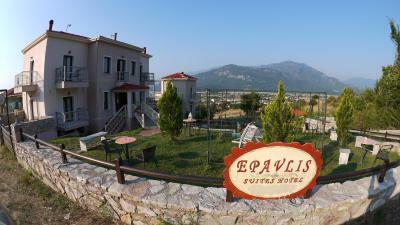 Epavlis Meteora Suites Hotel accepts these cards and reserves the right to temporarily hold an amount prior to arrival. BBQ facilities are available for all guests to use between April 30th and August 30th. Everything was perfect. Very warm atmosphere with very good hosts. like host and the house. Breakfast is delicious. Nothing to add to this. The home made breakfast was amazing. The service was excellent and nothing was too much trouble. We had a wonderful stay. 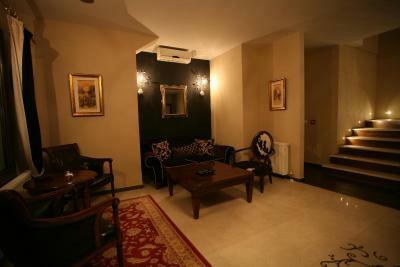 The owners were very friendly and provide us with every possible assistance/ guidance. 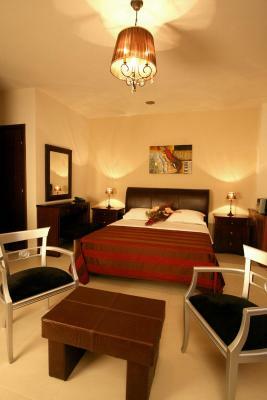 Room was very comfortable and clean!! Breakfast was excellent with home made pies / sweets and local products!! The people running this hotel are excellent. Very attentive to our needs. Excellent breakfast. Excellent location. Well done guys....we will certainly come back. 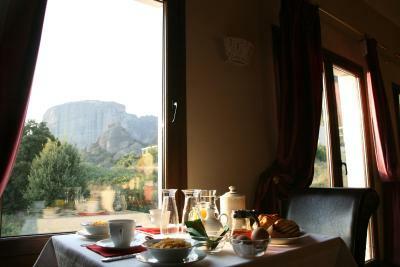 This is a family run boutique hotel, very gues friendly and super tasty breakfast with fresh homemade stuff. 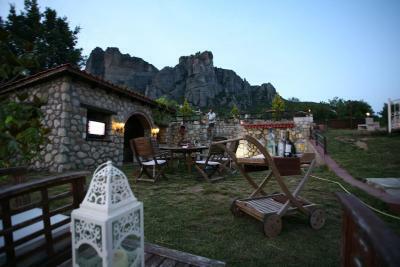 It’s an excellent location between Trikala & Kalampaka and the ideal place if you want to start hiking at Meteora and visit the monasteries. 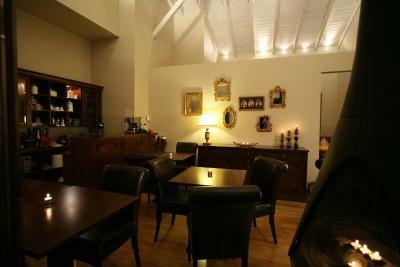 It’s also within walking distance from the Mushroom museum of Kalampaka, a must visit too. 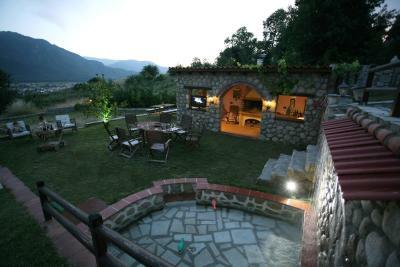 Amazing views & garden, great hotel choice. 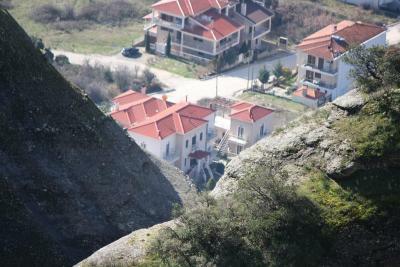 The hotel is located not in the center of Kalambaka (20 min by foot apr.) and somewhat up the hill, so without a car it is sometimes worth taking a taxi. 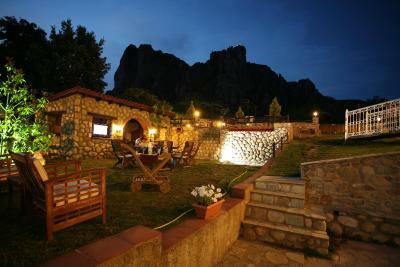 The hotel is located in a quite area with spacious view of Meteora rocks and St. Stephen's Monastery. 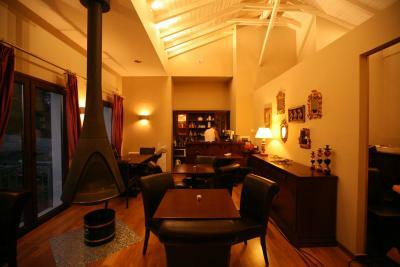 Is is a small family hotel with a few rooms perfect for those, who prefer quite places. We had 2 rooms, both had 2 balconies each with one facing Meteora. Rooms had a lot of space and bathrooms were clean. 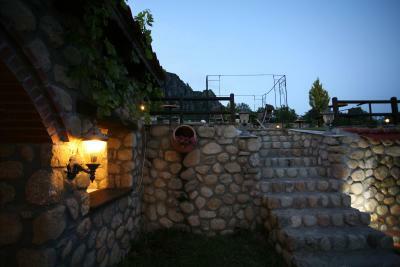 There is also a hotel territory with picnic areas, view of Kalambaka town and even with a few vines and pomegranate. 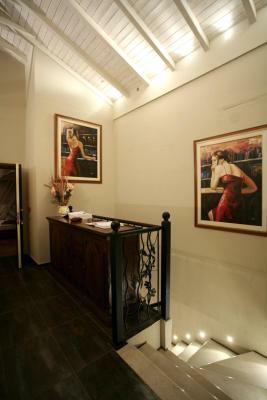 Everyone of staff was very friendly and helpful with good advices. We stayed in November in a low season, so didn't have a chance to have a picnic in the evening offered by the hotel in high season. Yet, we had breakfasts served on the 2nd floor of the main building, which were not big, but contained nearly everything one would need: fresh orange juice, homemade pies and marmalade, scrambled eggs and coffee. The road up the hill is bad and difficult to walk with heavy bags. If we had called the owners would have picked us from the railway station. They gave us lift back when we left which was appreciated. The hosts and staff are ver service orientated. the room was big and had an excellent view over the rocks. Our room had a terrace to sit outside. Breakfast room also had a great view. We did not have a car which would have been an advantage but we coped ok. The hosts were too kind! They picked me up at the at the train station late at night, explained everything I needed to know about Kalambaka and even dropped me to the station at 5:30 in the morning. They'd even prepared a breakfast package for me to eat on the train. Thank you for the wonderful stay! The view from the balcony is also amazing! !